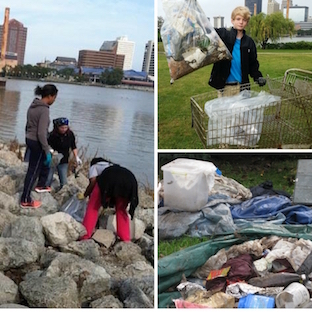 Photo: PCSClean Your Streams, Clean Your Streams 365, Get the Lead Out!, Fishing Line Recycling Bins, Storm Drain Marking...What do these PCS programs have in common? Marine Debris! Marine Debris is any persistent solid material that is manufactured or processed and directly or indirectly, intentionally or unintentionally, disposed of into a marine environment like our rivers, streams, and lakes. Explore our website to learn about marine debris, where it comes from, why it is bad, and what we all can do about it. To join the fight against marine debris, all you need is the motivation to make small changes in your lifestyle and the discipline to turn those changes into daily habits. Our annual programs like Clean Your Streams and Get the Lead Out are all working towards trash-free or marine debris-free waterways.